Volatility is back in a big way. The CBOE Volatility Index (VIX), a popular measure for how volatile traders expect the market to be over the next 30 days, has more than doubled over the past month. And there’s been almost nowhere for investors to hide. Every sector besides utilities—a defensive group of stocks—is down over the last month. That said, one very speculative asset has barely budged during the recent sell-off. I am a 26-year veteran of Silicon Valley. 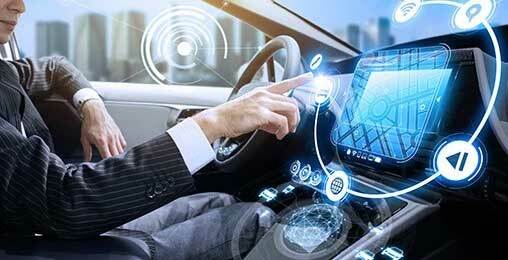 I’ve worked at the executive level for some of the hottest tech companies in the world, including NXP Semiconductors and Qualcomm, where I helped drive share prices to new highs. As an angel investor and venture capitalist, I’ve invested in and/or served on the board of over 100 tech startups. And I can tell you with certainty that everyone in Silicon Valley is eagerly awaiting November 14. It’s the day we take the next step forward as a technological powerhouse. Please don’t hesitate and miss out on a chance to get involved yourself. Bitcoin, as I’m sure you know, is a digital currency. It has a well-earned reputation for being highly volatile. But it’s been anything but volatile lately. Last month, the price of bitcoin traded within a range of $1,500. That’s its tightest monthly trading range since July 2017. Bitcoin’s been even calmer this month. It’s traded within a 2% range over the last 14 days. Of course, bitcoin won’t stay this calm forever. I say this because long periods of low volatility often occur before major moves. We see this in stocks, bonds, and yes, cryptocurrencies, too. In other words, what’s happening now could turn out to be the calm before the storm. Unfortunately, no one knows if bitcoin will break out to the upside from here or experience a leg down. But my money is on the former. And I say this for a couple of reasons. But selling pressure has almost died off entirely. This tells me that the bottom in bitcoin is here… or at least close. Right now, we’ve come down so much that there are more marginal buyers than marginal sellers. The people that got in over their head at the top, they most likely have already sold, pretty much all of them. We’ve also had enough time in the last 10 months or so to work out this excess from last year’s bubble. So, I think the next breakout will be to the upside again. Then we’re in the next bull market. In other words, bitcoin looks bullish from a technical perspective. But the fundamental case for a bitcoin bull market is just as strong. 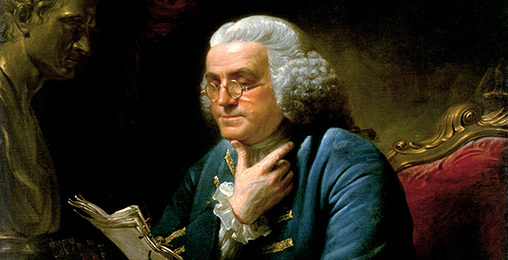 Benjamin Franklin was a very rich man—But do you know how? His method worked so well that—according to some historians—the federal government was forced to ban it in 1863. If you read last Tuesday’s Dispatch, you know what I’m talking about. If not, let me bring you up to speed. Right now, Fidelity, TD Ameritrade, Morgan Stanley, and many other major financial institutions are building their own crypto products and services. They’re doing this so they can offer their clients exposure to this upcoming asset class for the first time ever. These financial institutions oversee trillions of dollars. And they service millions of people. In other words, they have the power to push bitcoin well beyond its previous highs. So, consider picking up some bitcoin before it makes its next big move. Just remember that we’re still in the early days of a cryptocurrency revolution. Treat bitcoin like a speculation. Don’t bet more money than you can afford to lose, don’t obsess over day-to-day moves, and have a long-term time horizon. P.S. Today, we have another featured interview with John Hunt, Durk Pearson, and Sandy Shaw. If you missed their last discussion on “the turning off of learning,” make sure to catch up here. If you aren’t familiar, John is a doctor, inventor, and entrepreneur. He’s also Doug Casey’s coauthor in the High Ground Series. And Sandy and Durk are two of the smartest people on the planet. They’re experts in anti-aging research and brain biochemistry. Together, they coauthored the No. 1 New York Times best-seller Life Extension: A Practical Scientific Approach. John: What will happen with the world with this segregation of our information sources? We are increasingly segregating ourselves, virtually, based on differences in ideology and philosophy. This isn’t happening in schools much, because true diversity (a diversity of ideas) is assuredly not encouraged or promoted there. The only allowed diversity in college is that of skin color and gender. But elsewhere in our lives, where there is diversity of ideas, we are segregating. And that makes sense to me. Segregation based on skin color is an irrational leftover from teleologic fears. But segregation based on one’s values? That can make sense. Doug and I are chatting about re-establishing the phylae that used to meet in various cities. Perhaps we should create a virtual phyle in which we join with people who have a similar ideology. To be in the phyle, you don’t have to read the same news, but you’ll want to have a similar value structure and sound thinking. We can engage in commerce amongst ourselves with our own money, perhaps a gold-backed cryptocurrency. We can undertake commerce with each other. We can do our best to ignore all the other people who want to force their will on others. As Neal Stephenson wrote in The Diamond Age, people will split off into phylae because the government fiat money will no longer restrain them. Durk: Keep in mind, the popular cryptocurrencies are not backed by anything physical, and certainly not gold. They are basically fiat currencies, too. John: Many are backed by proof of work, which is important. Freely competing currencies allow for improvement in money. Competition leads to better products. But for almost a century, the dollar hasn’t been under competitive pressure other than from worse fiat currencies. Cryptocurrencies are competing intensely to be the best money, the best store of value, the best at whatever niche they are pursuing. To me, that is a potential game changer. Just think, if we had better money and couldn’t be stopped from using it, what amazing things we could do! Durk: And they are private fiat currencies rather than central government fiat currencies. The central government is able to create a demand for its fiat currencies by saying you have to pay your taxes using it. Private parties making fiat currencies have no way to demand that people use them. So, you’ve got to be real careful about those currencies. They’re basically tools of speculation. John: Or they will only succeed if they are worthy of us adopting them and if they earn our trust. This is very different than government fiat currencies, the use of which are compelled by legal tender laws. Sandy: As an aside, there is a lot of barter going on, particularly in rural areas where people can exchange goods. And there are relatively few bureaucrats around. Durk: It happens more where countries, like India, have done their best to get rid of cash. They’re going to really screw small businesses doing that. By withdrawing a lot of fiat money, India is creating a bigger demand for gold money. There’s a huge amount of smuggling of gold into India to replace their disappearing paper fiat currency. And that, I think, is really great news, although the Indian government doesn’t look at it that way. China is accumulating gold very rapidly. How do we know that? It’s very simple. All you have to do is look up the international sales statistics for sodium cyanide. Sodium cyanide has very few uses. Tiny amounts are used in making drugs. Tiny amounts are used as rodenticides. Somewhat larger amounts are used for making acrylonitrile-type plastics. Almost all of it is used for gold, and to a lesser extent, silver mining. China is the biggest importer in the world of sodium cyanide. Yet they’re not exporting gold. One of the things to keep in mind about these central governments is that they control much of the tradable gold, they can print money, and they can buy gold with the printed money. Since they’re buying gold for free with money they create out of thin air, they can choose to manipulate the price of gold. They could dump 200 tons in the market in one day and depress gold prices, just like that. Another thing that suppresses the price of gold is that people who would have put their money into gold and silver are putting it into cryptocurrencies. I think gold is mainly held up above $1,200 because central governments are buying gold whenever it gets down to anything lower. They are doing it because, well, if everything goes to hell, if they’ve got gold, they aren’t going to starve. There are actually Chinese government TV broadcast commercials on the glories of buying gold and silver, which the Chinese can buy at every bank and all of the better department stores. The Chinese government realizes that the economy can go to hell. But if people have gold and silver, things can continue. Sandy: They’re not going to starve and go off hanging Chinese red bureaucrats. John: Do you envision the United States government banning gold bullion and coins in private hands? Durk: I don’t think they’re going to try that again. The first reason is that it’s terribly easy to convert it to jewelry. Indians have a huge amount of gold jewelry. People have 24 karat gold necklaces. That’s too soft. They’re not practical, but they aren’t supposed to be practical as jewelry. It’s gold. It’s money. With moderate testing equipment, it gets cheaper and cheaper to be able to test whether it is 12 karat, 14 karat, 16 karat, 18, 20, 22, or 24 karat gold. And so, it becomes easier to have jewelry as money, and a person can convert their gold bars into gold bracelets very, very easily. It can literally be done in your garage. It is possible to defraud. For example, the specific gravity of tungsten is almost exactly the same as gold. But tungsten is exceedingly hard to machine, and making a tungsten bracelet that’s plated with gold is not something you can do in your garage. But a gold-plated tungsten bar? That can be done. There are some tungsten coins and bars out there that are gold plated, so be careful about coins and bars. There are X-ray devices that will tell you whether it’s gold or tungsten and more and more coin stores have these X-ray devices. It’s nondestructive testing. It uses no chemicals or any other materials. It uses a fraction of a cent of electricity. You push the button and it tells you whether there’s tungsten present or not. Another reason the government probably won’t try banning gold again is that things that are banned don’t disappear. Heroin is cheaper now than it was 20 years ago, in real terms. The war on drugs has been totally unsuccessful. Before the progressives imposed the Harrison Narcotics Tax Act in 1914, anybody could buy as much cocaine or morphine or even heroin as they wanted without even having a doctor’s prescription. No prescription necessary. Just walk into a drugstore. Sandy: And the percentage of people who were addicted to these drugs is very similar to what we have now. About 2% of the population is addicted to opiates and/or stimulants, and another 5% are occasional users. Wow, like a century ago! John: Which will serve as a great segue to a follow-up interview, coming soon. Doug is SPOT ON! Short, sweet, to the point, and dead on the money concerning the awards! Nice to read such candid responses to the questions. Thanks! EXCELLENT. Casey is the greatest. I loved Doug Casey’s summation of the Nobel Prizes in Peace and Economics. I especially applaud him for the masterful summary of the current social contagion known as AGW [anthropogenic global warming]. Although I have read six or more books on the topic, his is probably the most concise and lucid synopsis that I have read. Doug Casey has very real insight to current events and history in general. I read everything I can that he writes. I wait patiently for Totally Incorrect Volume III. As usual, Mr. Casey is completely correct. I am yet to hear an explanation (that I believe) for why after the sun heats the CO2 in the upper atmosphere, the CO2 radiates it back to Earth instead of outer space. One anecdote I enjoy is the story of when my wife’s cousin proved to me that global warming is real. He lives in Bad Ischl, Austria, and he took me to Empress Sissy’s hunting lodge overlooking the Dachstein. He showed me the glacier on the Dachstein and it was about one-third of the way down the mountain. Then he showed me a painting inside the lodge from the Empress’ time, and the glacier was two-thirds of the way down the mountain. That, he announced, proved global warming. I told him I agreed completely. It definitely is warmer today than it was during the little ice age! I just read the piece on Doug Casey commenting on Nobel prizes. It really irked me. I’ll start by saying that I really doubt that Doug Casey has any training in earth and atmospheric or solar system sciences. He is entitled to his opinion on these matters, but I don’t think we need to be subjected to his opinions on all sorts of subjects that usually revolve around politics or government taxes. I thought we signed up for a financial research publication. What we get is heavy doses of political leanings. If those were the subjects I was interested in, I sure as hell would not have purchased an overpriced financial research publication. Looking at Casey portfolio picks and performance, one could just about have the same success rate by picking from a list while blindfolded… for a whole lot less money. Please keep your opinions about non-financial matters to yourself and spend a little more time on getting investment picks right. At first, it seems reasonable to claim that volcanoes produce such enormous amounts of gas that the amount produced by humans is trivial by comparison. But the only way we can actually tell which source is more important is by measuring both. Fortunately, we have researchers who do exactly that. When Mt. Pinatubo erupted in 1991, the massive clouds of gas and ash certainly looked extremely massive, but volcanic gas chemists (see Gerlach, Terry) estimated that Pinatubo produced roughly 120 million tons of CO2. On the other hand, based on the amount of fossil fuels that were consumed in 1991, humans produced roughly 23 BILLION tons of CO2. (Figure about 29 billion tons in 2017.) Stated another way, humans produce in 12.5 hours as much CO2 as Pinatubo did in its spectacular eruption. It seems counterintuitive, but humans release WAY MORE greenhouse gases than volcanoes do. Perhaps Doug Casey should take his own advice and stick to economics, and leave science to the professionals. Otherwise, his entire case consists of purely nonsensical conservative talking points. This is important stuff! Doug needs to get his facts straight before he starts reassuring people that global warming is some sort of liberal hoax.